- 5 ½” square white or red vinyl Decal of Takraw Canada’s spiker inside the Maple Leaf logo. 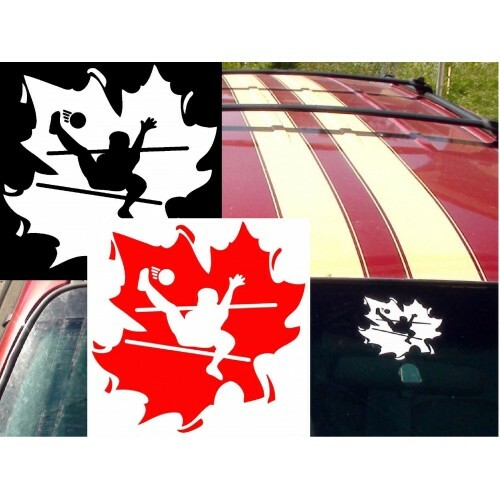 - Sepak Takraw enthusiasts proudly display this iconic logo on windows of vehicles, homes, etc. - Not from Canada? No worries mate, this makes an ideal souvenir from Canada to show off to your pals!